Who: MoSys (Nasdaq:MOSY), a leader in semiconductor solutions that enable fast, intelligent data access for network and communications systems, is demonstrating its Bandwidth Engine® 3 family of ICs in addition to the its LineSpeed™ Flex 100G Gearbox and Retimer PHY solutions at at DesignCon 2016. The company is also announcing sample availability of its industry-leading Bandwidth Engine 3 products. The monolithic Bandwidth Engine devices integrate an efficient serial interface that operates at over 25Gbps per lane, a 1Gb memory architecture that delivers over five billion table reads per second, and multi-cycle algorithmic offload intelligence for buffering, lookup, and statistics packet processing applications. The family includes the MSRZ30, which has been optimized for use with the EZchip NPS-400 network processor, the MSR630 for high-rate lookup buffer applications and the MSR830, which includes additional statistics and metering capabilities. MoSys® Bandwidth Engine 3 interoperating with a Xilinx® Virtex® UltraScale™ FPGA at up to 25Gbps per lane. Xilinx Virtex-6, Virtex-7, Kintex® UltraScale, Virtex UltraScale and upcoming UltraScale+ FPGAs on development kits available from Xilinx and HiTech Global. MoSys LineSpeed and LineSpeed Flex 100G Gearbox and Retimer PHY solutions in the MoSys booth and in technology demonstrations at partner booths. MoSys’ IC Spotlight™ Analyzer device configuration and analysis tool with support for both Bandwidth Engine and LineSpeed products. What: Taking place annually in Silicon Valley, DesignCon is the premier educational conference and technology exhibition for electronic design engineers in the high speed communications and semiconductor communities. When: DesignCon 2016 takes place January 19-21; Expo is January 20-21. MoSys’ demonstrations and product information will be available at MoSys booth #420. For information about product availability and pricing, contact a local MoSys sales representative at http://www.mosys.com/contact.php. 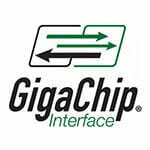 Bandwidth Engine® and LineSpeed™ IC product families are based on the company’s patented high-performance, high-density intelligent access and high-speed serial interface technology, and utilize the company’s highly efficient GigaChip® Interface.